The Ducks have finished among the elite in the national standings over each of the past six years in terms of total offense, and have developed quite a reputation doing of it. However, that reputation also comes with some negatives. Many argue that, while the Ducks demonstrate a dominant offensive attack, they have their “weak” competition or “gimmicky” system to thank. On top of that, many assume that this offensive dominance comes along with a porous defense. This argument likely stems primarily from the numbers, which, in fairness, have not exactly been outstanding over the last six years. 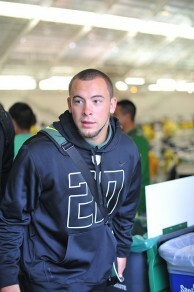 Safety John Boyett, outstanding Duck DB during the Chip Kelly era. Because Oregon’s hurry-up offense is on the field for such little time, though, the defensive statistics are inevitably skewed. Thus, looking at the numbers, it does appear that our boys in Eugene struggled on the defensive side of the ball throughout the Chip Kelly era, having finished in the Top 40 in total defense only twice since 2007. However, when actually watching the Ducks play, it is clear that this is not exactly the case. Sure, Oregon gave up 51 points to USC in 2012, 40 points to LSU in 2011, and 37 points to Boise State back in 2008. They also held Cam Newton’s Auburn squad to 22 points in the 2011 national championship game (the second-lowest point total allowed to them that season, including Alabama and LSU), three points to a Jahvid Best-led Cal squad in 2009, and shutout Arizona’s No. 7-ranked offense in 2012. Clearly, the numbers do not tell the whole story. 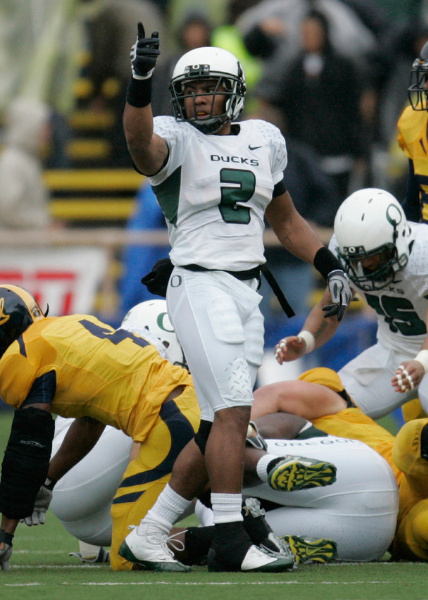 Oregon’s strong, athletic defense is half of the reason why the Ducks have done so well since the dawn of the Chip Kelly era in 2007. However, one area has truly stood out even within the defense – the secondary. Once again, looking at the national rankings in terms of passing defense, you would never know it. The Ducks have not entered the nation’s top 25 teams in terms of passing defense in any of the past six seasons. However, Oregon has finished in the top ten nationally in passes defended each year since 2007, and has finished in the top ten nationally in interceptions during three of those years (including 2012 when they led the nation with 25). Stanford’s outstanding defense only tallied 22 picks in the past two seasons combined. While those numbers can be attributed in part to the pass-happy attacks of the Pac-12, the same could be said for the passing defensive yardage allowed numbers. While they are certainly not at the top, the Ducks are still far from last in those latter categories. 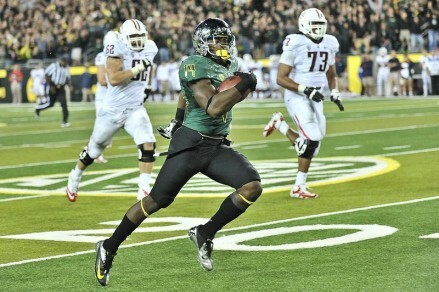 The Ducks’ secondary has played host to a number of fan favorites. Every Oregon fan has a special place in his or her heart for Kenny Wheaton’s interception return for a touchdown to send the Ducks to Rose Bowl back in 1994. However, it has really become outstanding since 2007. Patrick Chung, Walter Thurmond III, Jairus Byrd, John Boyett, T.J. Ward, and Cliff Harris really stand out. On top of these big names, the Ducks have hosted numerous solid, underrated athletes in the defensive backfield. Cornerback Willie Glasper, who battled injuries later on in his career, comes to mind. Avery Patterson and Erick Dargan gave Oregon a seamless transition away from Boyett when he went down for the season with an injury early on into the 2012 season. Talmadge Jackson III and Brian Jackson, though not necessarily elite athletes, have been a huge part of the team’s success over the past four years. Ifo Ekpre-Olomu has the potential to become the best in a line of recent elite Oregon defensive backs. in 2012 as a sophomore. After tallying four interceptions, six forced fumbles, and 20 passes defended, he should be high up on the radar of many NFL scouts. 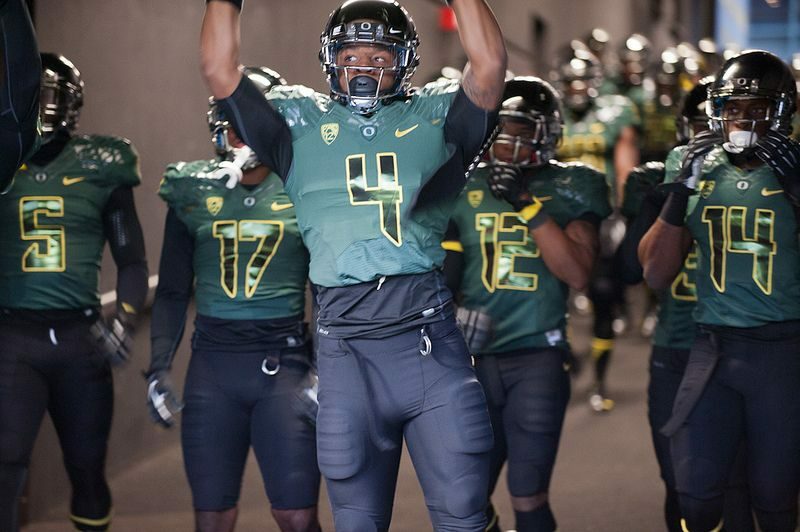 However, based on the success of the Ducks’ defense, particularly the defensive backfield, Oregon will be developing skill and depth on both sides of the ball. The Ducks have earned the right to shed their reputation as a team that sacrifices defense in order to light up the scoreboard. It’s time that they’re recognized for their defensive prowess on the national stage.